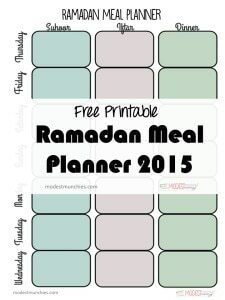 Hello everyone, I’ve decided to put together a free Ramadan meal planner for all of you. It has a simple layout and is easy to use. It has spaces for Suhoor, Iftar, Dinner and Snacks. I’ll be using the snack section to include lunch ideas for the cookie monster, can’t forgot our feasting kids. Yes I know Ramadan isn’t about the food. For me personally I’ve found that being organised during Ramadan means I spend less time fumbling in the kitchen, less time thinking about what to cook and less time in the grocery store. This means more time spent on prayer and worship (for me anyway). The above planner was from 2014 and 2015 is below. Brilliant… just what I needed to get organised. 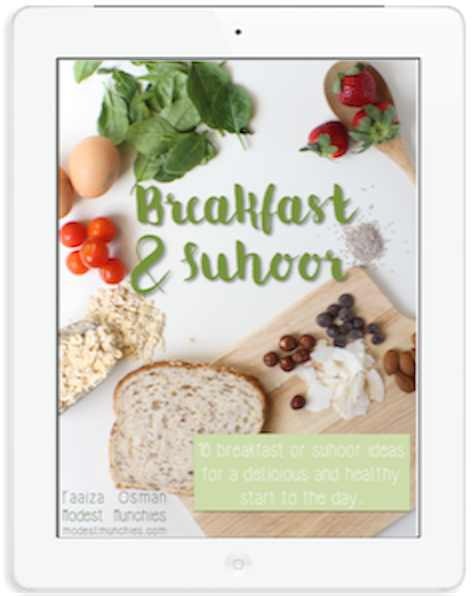 For a few weeks now, I have been saying I wanted to do menu planning for Ramadan, but haven’;t gotten around to doing to it yet. 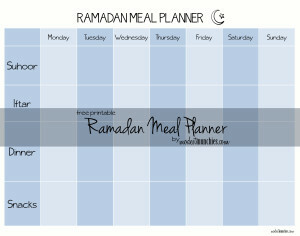 I’ve printed the planner and will sit down and work on it over the weekend inshaAllah. JazakAllah Khairun!!! Oh my gosh. Nicky when I read this I did a happy dance. This blog is truly a labour of love. I have all these ideas and I work hard to share them with others so they can benefit too in shaa Allah. To see comments like this just make it all worth while. Thank you for taking the time to comment, I really appreciate it. JazakAllah. This is seriously such a great idea! I cannot wait to implement it! InshAllah it will make things run much smoother in Ramadan 🙂 May Allah give you rewards for putting together something so useful! wish i had found this earlier…as a working mom with eight wonderful kids…i have no time to think. 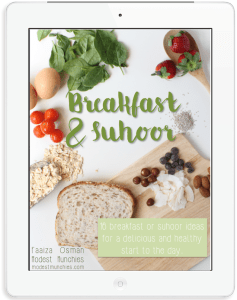 i love your site…im finding many ideas to use in my toddler classes as well…thank you and may Allah bless you and your family. Ramadan Kareem and Eid Mubarak!! !